The Cat® 988K XE is Caterpillar’s first electric drive wheel loader, proving to be faster and more efficient than its mechanical-drive counterpart in applications that demand high performance and high production. Move more material in less time, at a lower cost per ton, for a faster return on your investment with this electric drive wheel loader. While the electric drive transmission replacement on the 988K enables the significant increase in efficiency, the axles and the driveline are the same as on the proven 988K mechanical drive. 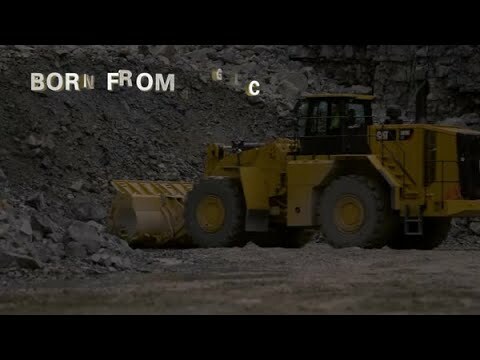 CAT C18 ACERT™ ENGINE The Cat C18 ACERT engine is built and tested to meet your most demanding applications while meeting Tier 4 Final/Stage IV emission standards. • Fully integrated electronic engine controls works in concert with the entire machine to make your fuel go farther. • Use less fuel idling with Engine Idle Shutdown. • Maximized durability with Delayed Engine Shutdown. FUEL EFFICIENCY Enabling maximum productivity and efficiency, all day every day. The 988K XE systems work hard to make you more efficient through advanced electric drive technology. • Overall efficiency improvement of 25 percent. • Efficiency improvement of up to 49 percent in tough applications. • Up to a 10 percent increase in productivity in load and carry applications. CAT SWITCHED RELUCTANCE ELECTRIC DRIVE SYSTEM • Continuously variable speed control up to maximum ground speed. • Implemented virtual gears for machine controllability. • Automatic retarding controls for maintaining speed on grade. • Extended maintenance intervals over mechanical power trains. • Fewer moving parts than traditional torque converter and mechanical transmission systems. • Elimination of the shifting simplifies operator controls thus accelerating the learning curve of new operators. CAT SWITCHED RELUCTANCE ELECTRIC GENERATOR AND PUMP DRIVE • Fewer moving parts than traditional torque converter systems. • Extended maintenance intervals over mechanical power trains. • Integrated controls provide power on demand. • Integrated pump drive for seamless hydraulic performance. CAT INTEGRATED POWERED ELECTRONICS • Fully sealed to protect from the elements. • Liquid cooled to extend component life. • Solid state components maximize durability in extreme conditions. CAT SWITCHED RELUCTANCE ELECTRIC DRIVE MOTOR • Continuously variable speed control up to maximum ground speed. • Implemented virtual gears for machine controllability. • Automatic retarding controls for maintaining speed on grade. • Extended maintenance intervals over mechanical power trains. STEERING AND TRANSMISSION INTEGRATED CONTROL SYSTEM (STIC™) Experience maximum responsiveness and control with STIC that combines directional selection, virtual gears and steering into a single lever. VARIABLE TORQUE CONTROL AND RIMPULL CONTROL SYSTEM (RCS) Lower your cost per ton utilizing advanced torque control and RCS for modulated rimpull. • Reduce tire slippage and wear by modulating rimpull from 100 to 25 percent while depressing left pedal. After 25 percent rimpull is achieved the left pedal applies the brake. • Reduce the potential for wheel slippage without reducing hydraulic efficiency with RCS. AUTOMATIC RETARDING CONTROLS • Maintain operator safety and efficiency by controlling speed on grade. • Machine sets maximum allowable speed. • Operator controls speed up to maximum allowed. ROBUST STRUCTURES Your bottom line is improved by highly durable structures that achieve multiple life cycles and withstand the toughest loading conditions. • Full box-section rear frame resists torsional shock and twisting forces. • Heavy-duty steering cylinder mounts efficiently transmit steering loads into the frame. • Axle mounting has been optimized for increased structural integrity. • Lower hitch pin, frame plate, and bearing size have been increased for longer life. LIFT ARMS • Excellent visibility to the bucket edges and work area through a Z-bar design. • High load stresses are absorbed by the solid steel lift arms. • Enhance strength in key pin areas through the use of one piece castings. • Stress relieved lift arms increase durability and lengthen time to repair. FRONT LINKAGE To ensure long life and reliability, the linkage pin joints feature a greased pin design with an auto lube system attachment available from the factory. POSITIVE FLOW CONTROL HYDRAULICS Increase efficiency through our Positive Flow Control (PFC) Hydraulic System. PFC has concurrent pump and valve control. By optimizing pump control, hydraulic oil flow is proportionate to implement lever movement. • Fast, productive cycles are enabled by the fully variable implement pump. • Increase bucket feel and control through increased hydraulic response. • Consistent performance and efficiency with lower system heat. • Full hydraulic flow down to 1,400 engine rpm enabled by flow sharing technology. ELECTRO HYDRAULIC CONTROLS Operators increase productivity with our responsive implements feature. • Operate comfortably through electronically controlled hydraulic cylinder stops. • Handle easy-to-use soft detent controls. • Conveniently set automatic implement kickouts from inside the cab. STEERING SYSTEM Confident loader operation starts with precise machine control enabled by the 988K XE's load sensing hydraulic steering system. • Increase efficiency with our variable displacement piston pumps. • Achieve precise positioning for easy loading in tight areas with 43 degrees of steering articulation. • Enhance operator comfort with integrated steering and transmission control functions. FILTRATION SYSTEM Benefit from extended performance and reliability of your hydraulic system with our advanced filtration system. • Case drain screens. • Hydraulic oil cooler return filter. • Pilot filter. • In-tank return screens. • Axle oil cooler screens if equipped. Your operators can work more efficiently and stay comfortable with our customer-inspired cab features. ENTRY AND EXIT Enter and exit the cab easily and safely with these newly designed, ergonomic features. • Fold up STIC steer/armrest. • 45 degree access stairway angles. • Standard stairway lighting. DELUXE OPERATOR SEAT Enhance comfort and helps reduce operator fatigue with Cat Comfort Series III seat. • Heated and ventilated seat featuring leather seat bolster surfaces. • High back design and extra thick, contoured cushions. • Air suspension system. • Easy-to-reach seat levers and controls for six way adjustments. • Seat-mounted implement pod and STIC steer that moves with the seat. • 76 mm (3 in) wide retractable seat belt. CONTROL PANEL Ergonomic placement of switches and information display keep your operators comfortable all day every day. • Large backlit membrane switches feature LED activation indicators. • Switches feature ISO symbols for quick function identification. • Two position rocker switch activates the electro hydraulic park brake. ENVIRONMENT Your operator's productivity is enhanced with our clean, comfortable cab environment. • Experience reduced vibrations from isolated cab mounts and seat air suspension. • Maintain desired cab temperature with automatic temperature controls. • Pressurized cab with filtered air. • Low operator sound levels. • Convenient floor storage tray/lunch box. Integrated electronics provide flexible levels of information to both the site and the operator. This integration creates a smart machine and more informed operator, maximizing the productivity of both. INFORMATION DISPLAY We have worked hard to help our customers and operators perform at their best through our newly upgraded touch screen information display. • Intuitive operation and easy navigation with our enhanced user interface. • Decrease service time by keeping operators informed about machine systems. VITAL INFORMATION MANAGEMENT SYSTEM (VIMS™) Connect directly to the machine for access to a wide range of sensor information and enhanced machine data. • Create productivity reports with payload and work cycle segmentation. • Identify operator training needs through productivity data. • Detailed data logging of machine parameters and diagnostic codes. • Track machine sensor information with trend analysis and histograms to monitor machine health. TIRE PRESSURE MONITORING SYSTEM (TPMS) Tire pressure monitoring is a fully integrated feature which allows operators to monitor inflation of tires. Available through the Information Display, the operator can quickly see the current pressure settings and temperature of each tire. CAT PRODUCTION MEASUREMENT (CPM) Cat Production Measurement brings payload weighing to the cab so operators can work more productively and deliver accurate loads with confidence. CPM brings advanced weighing modes which assist with payload accuracy and speed the loading cycle. We are constantly improving our products in an effort to provide a safe work environment for the operator and those who work on your job site. MACHINE ACCESS • Left and right hand stairs with 45 degree angle enhance safety for operators getting on and off the 988K XE. • Continuous walkway with non-skid surfaces are designed into the service areas. • Maintain three points of contact at all times through ground level or platform accessible service areas. VISIBILITY • Optional heated mirrors ensure enhanced visibility for safe operation. 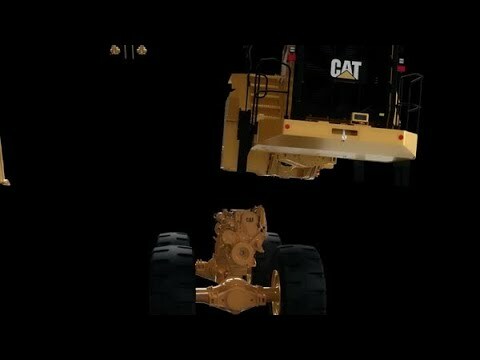 • Standard Cat Vision or optional Cat Detect with radar increase operator awareness around the machine. • Optional HID or LED lights provide excellent workspace visibility. • Optional cab mounted LED warning beacons. OPERATOR ENVIRONMENT • Reduced vibrations to the operator with isolated cab mounts and seat mounted implement and steering controls. • Low interior sound levels. • Pressurized cab with filtered air. EFFICIENT COMBINATION For full truck payloads with minimum loading time, an efficient loading/hauling system starts with a perfect match. Cat wheel loaders are matched with Cat off-highway trucks to maximize volume of material moved at the lowest operating cost per ton. The 988K XE equipped with the standard linkage will pass match the 770 (36 tonnes/40 tons) in 3 passes and the 772 (45 tonnes/50 tons) in 4 passes. Equipped with a high lift linkage the 988K XE is capable of loading a 773 (56 tonnes/61.7 tons) in 5 passes and the 775 (64 tonnes/70 tons) in 6 passes. Enhance the productivity of your loader and protect your investment in buckets with our Ground Engaging Tools (GET). Your knowledgeable Cat dealer will work with you to understand your application and needs for the GET that is best for you. ROCK BUCKETS Designed for use in bank or face loading of limestone and other unprocessed rock. Application also includes truck and hopper loading for a wide range of quarry materials. GET includes spade nose cutting edge with adapters, half arrow segments, bottom wear plates, and sidebar protectors. HEAVY DUTY ROCK BUCKETS Designed for use in applications like face loading tightly compacted pit materials or handling materials of moderate abrasion and high impacts. GET are similar to the rock bucket with the addition of floor liner, half radius liners and bolt-on bottom edge wear plates. 20-series mechanically attached wear plates (MAWPS) are provided for additional wear protection and improved serviceability. Base edge end protection, ski plates, additional side wear plates, wings and an extra set of sidebar protectors are also included. GENERAL PURPOSE BUCKETS Designed for use primarily in stockpiling, re-handling and aggregate applications. GET includes a straight base edge with a bolt-on cutting edge system. Curved sidebars are provided to aid in material retention on the 12.5 yard (9.6 cubic meters) aggregate bucket only. COAL BUCKETS Designed with a larger capacity for use in applications with light density and non-abrasive materials. GET includes a straight base edge with a bolt-on cutting edge system. 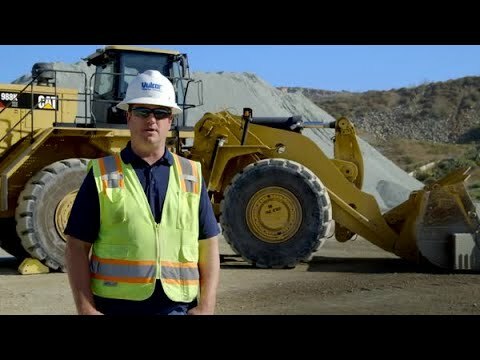 CAT ADVANSYS™ GROUND ENGAGING TOOLS Protect expensive components. Reduce your operating costs. Get the most out of your machine's performance. Choose from a variety of performance-built Advansys GET like these to meet your application requirements. • CapSure™ Sidebar Protector • MAWPs – on Side and Bottom • Base End Edge Protector • CapSure Tip Options: Heavy Duty Tip • CapSure Tip Options: Heavy Abrasion Tip • CapSure Tip Options: Coal Tip • CapSure Tip Options: Heavy Penetration Tip • Edge Protection Options: CapSure Shrouds • Edge Protection Options: Half Arrow Segment Please check out our Parts Catalog for more GET options. CAPSURE™ RETENTION TECHNOLOGY Simplify GET component replacement with hammerless CapSure retention for fast, easy and safe installation. CapSure tips, shrouds and sidebar protectors are easily locked and unlocked with a 180 degree turn of a 3∕4 inch (19 mm) ratchet. Take a look at the 988K XE side by side with other models. Browse through these photos and videos for a closer look at the 988K XE and what it can do for your operation. Wherever you want to go from here, the 988K XE is ready. You can get in touch with us in a variety of ways. Check out our inventory of new, rental and used equipment. Connect with your local dealer, ask our experts for advice or read what's happening in the customer forums.